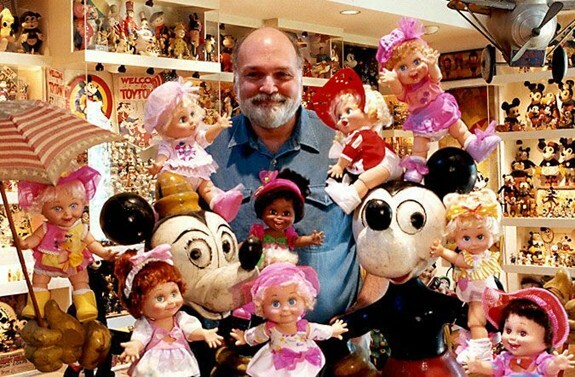 The creator of the Baby Face doll line is Mel Birnkrant, who has a legendary collection of early Disney and cartoon toys and has been famous in the toy industry for many years, as a leading designer. Inspired by his own toy collection, influenced by Kewpies and Betty Boop, he began designing his most successful doll project of his career. His idea was to make dolls with emotional expressions and joint them for posability. He created three prototype dolls made of sculpy, dressed them with clothing he appropriated from other dolls and made a short video presentation. In 1990, in partnership with Kiscom Toys, he licensed his Baby Face doll designs to the Lewis Galoob Toy Company, after showing the video to David Galoob at Toy Fair. 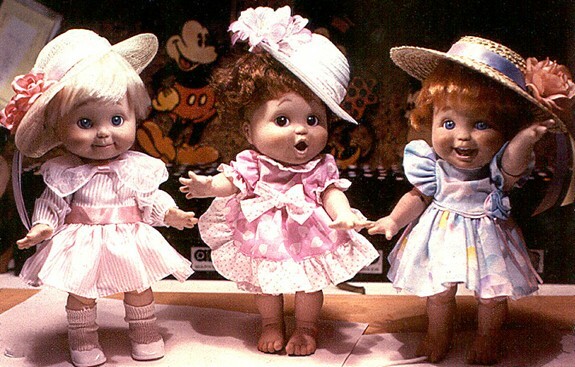 Judy Albert, of Cabbage Patch fame, created the adorable outfits worn by the dolls. Starting with nine original designs, they eventually produced 36 (or 37 if you count Denny) different styles of dolls, from 19 molds over the next few years. Baby Face dolls became one of the top selling dolls of those years, rivaled only by Cabbage Patch. In addition to the dolls, there were extra outfits sold separately, various accessories and a wealth of related licensed merchandise produced. Baby Face dolls filled the shelves of toy stores here and abroad. Little girls love to play with them and collect them, but also adults began buying them as a collectible and as an investment. After two very successful years, Galoob arbitrarily and abruptly decided to discontinue the line, even though they were one of the most popular dolls on the market at that time, breaking many hearts and shocking the toy industry. You can read more about the story of the birth of Baby Face, as told to Cyndy Stevens, on her website. Get the artist's perspective of how he conceptualized and then made the dolls a reality and what came after. Mel opens the kimono on the Toy Industry like few have ever done before in "How Baby Face Was Born". Today Baby Face dolls retain their appeal for both young and old and remain a popular collectible.